Our Food Services Department recognizes that a healthy, well-fed child learns better. Our district contracts with Sodexo to manage our food program to provide varied, fresh, and nutritionally sound meals at affordable prices. Please view our menus for our latest meals. If you have questions, please contact the food service clerk at (520) 822.9418. 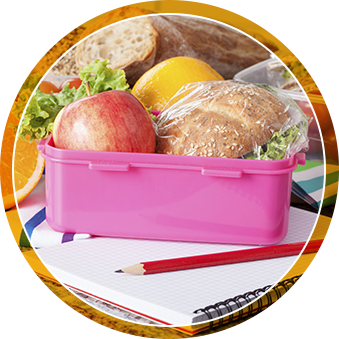 All children attending Altar Valley School District will receive meals at no charge due to implementing a new option available to schools participating in the National School Lunch and School Breakfast Programs called the Community Eligibility Provision (CEP). Children will be able to participate in these meal programs without having to pay a fee or submit an application. Altar Valley Middle School is happy to be a part of the breakfast in the classroom initiative. All students have the opportunity to eat breakfast with their classmates in the classroom. Students will enjoy breakfast in the classroom every school day. Students will be able to eat during the first ten minutes of class. The breakfast in the classroom initiative takes the traditional school breakfast approach and improves it with one key ingredient—the classroom. Breakfast becomes available to everyone no matter the income level, and students eat after the opening bell. This makes it possible for all children to participate. The approach is simple. Children eat together in the classroom, at the start of the school day, after the morning bell. They enjoy nutritionally well-balanced foods such as breakfast wraps, yogurt, or fruit served directly in their classroom. Students eat breakfast while the teacher takes attendance, collects homework, or teaches a short lesson plan so that no instructional time is lost. The result is less hunger and improved academic performance, health, and behavior. To view your school's current menu, select a link below.